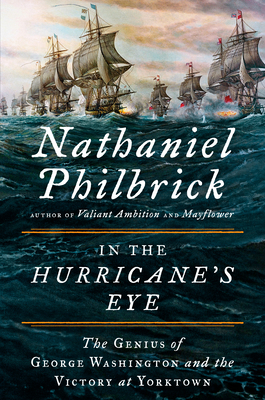 In the Hurricane's Eye: The Genius of George Washington and the Victory at Yorktown (The American Revolution Series #3) (Hardcover) | The working bookstore for the reading class. What did the founding fathers really mean when they crafted the U.S. Constitution back in 1787? And more importantly, how does the language of this document inform decisions today? "Originalists", like the late Antonin Scalia, have felt like The Constitution is a rigid gospel, not to be reinterpreted (and thereby changed) to fit modern circumstance. Ellis takes four seminal constitutional issues, injects added insights from the founders to help understand positions, and then transports these more inclusive meanings into current context: Jefferson on slavery and racism; Adams on economic inequality; Washington on foreign affairs and American imperialism; Madison on the doctrine of original intent regarding law. In short, what Ellis so artfully does is go back to original sources to explain a "why" for each stance and the slippery slope of compromise resulting in The Constitution's final language. As Ellis articulates, while "the founders are busy being dead, they still speak to us in the vast archive of letters and documents they left behind." But who of our leaders today really recognize these materials... materials that silently bring context to The Constitution. This volume is a wonderfully "digestible" discussion to help make what's old new. In today's political world, one missing ingredient to most issues is "how did we really get that way" -- and what did the founding fathers really mean, when they whispered to each other as they pursued the weighty task of re-framing what it meant to be America.